Skylanders, Amiibo, Disney Infinity — the toys-to-life category got big, fast, but most of the action in the space following Skylanders tended to be mostly derivative, without really pushing the category forward when it comes to the breadth of available technologies. Lightseekers, a new cross-platform action RPG game debuting on Kickstarter today that incorporates physical toys created by partners TOMI, hopes to address that lack of forward progress. 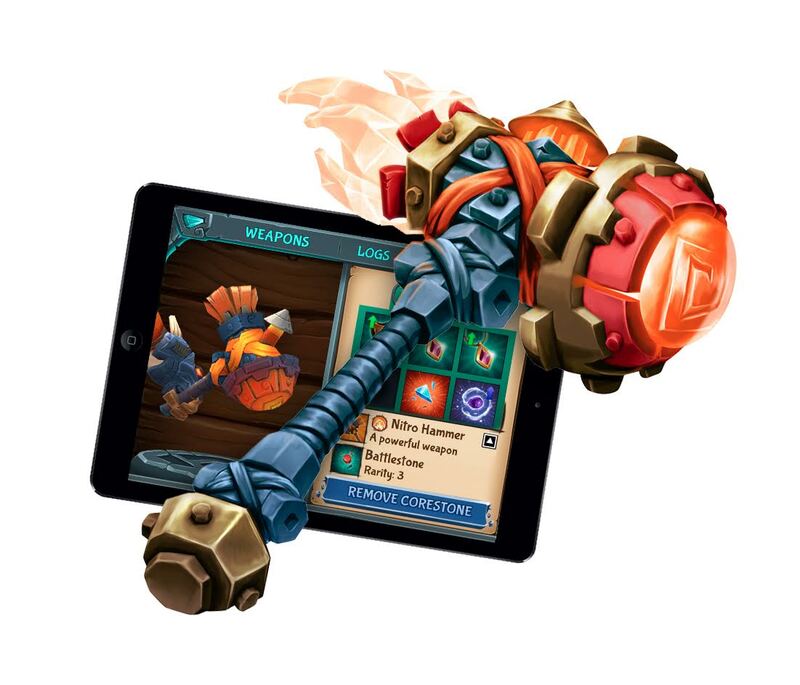 Lightseekers comes from PlayFusion, by a team including people who also worked on popular MMORPG RuneScape at Jagex prior to that, and which hopes to do something similar for toys-to-life, with a mobile-first approach and flexible play dynamics that allow for online multiplayer, solo digital or even old-school analog offline play, all of which is tied together and informs and evolves experiences across the range of options. The basic mobile game pairs a roving mobile adventure RPG with a rich universe complete with deep history, with Bluetooth-enabled action figures that will talk to your mobile device automatically, rather than requiring a portal or hub like many existing toys-to-life options. The characters also include embedded motion sensors, which means in certain game modes you can use them as physical controllers for what’s happening in-game, almost like a Wii controller. The physical toys can also interact with one another, both while you’re actively playing the mobile game and while you’re offline using them more as traditional action figures. But is toys-to-life a smart place to build a business these days? Disney notably exited the category with the announcement earlier this year that it would not continue the Disney Infinity line, which seemed like a poor reflection on the state of interactive toys overall. PlayFusion and TOMI believe that any failure to capitalize on the nascent market isn’t due to lack of interest from consumers, however. 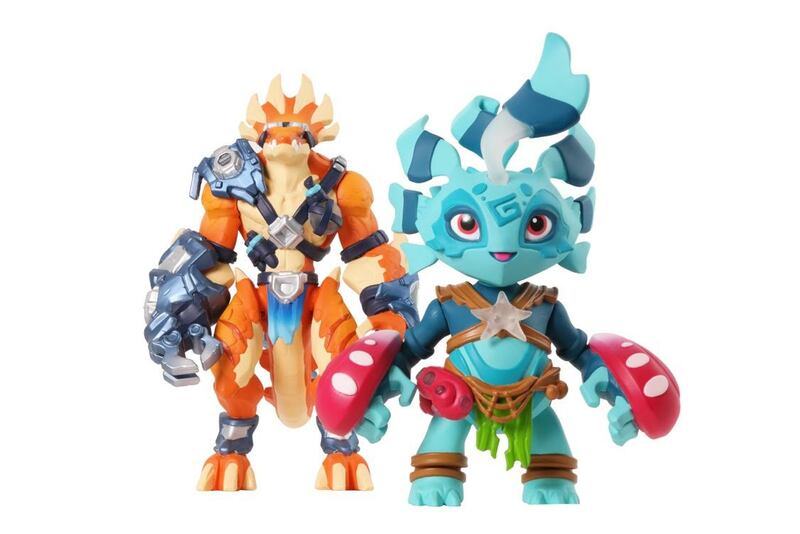 With Lightseekers, the goal is to inject new life into the whole concept of toys-to-life with a game aimed at a slightly older and more sophisticated demographic than the target audience for category pioneer Skylanders. RPG mechanics allow advanced gamers to go as deep as they want, while Gerhard says that novice and casual players can still also easily pick-up-and-play. The game is designed to be flexible not only in how you can play it, but also in who it appeals to. Currently, Gerhard says, a lot of people look to something like Anki or Sphero as the next logical step in terms of where to go from Skylanders, but the cost of entry for those products is quite high, at around $200. Lightseekers on Kickstarter is offering a package that includes one Bluetooth-enabled action figure, a weapon accessory, AR-capable cars from the TCG and more accessories, including digital bonuses. Gerhard also emphasized that the Lightseekers characters and accessories are intended to grow and evolve over time, and not in the easy, sequential level-up style used by most toys-to-life games today. Weapons and add-ons could provide totally different in-game benefits as you progress through the game, for instance, and characters are designed to form more lasting relationships with players, so you grow with one or two over time instead of necessarily feeling the need to collect them all. The PlayFusion and TOMI teams aim to launch its digital beta by the end of this year, with retail availability and a full consumer launch targeted for Spring 2017.